Amazon.com description: Product Description: Who's the smartest person in the first grade? When the teacher hands out a test, everybody can't wait to find out. But only lucky Anna Maria does well enough to move to a special class. Is getting the best grade all that matters? About: The first grade is distressed by an intelligence test which fails to measure true aptitude. About: A teacher wisely convinces her first-grade students that even though they did not do very well on a multiple-choice test, there are some abilities a test cannot measure. About: A revised and updated guide to the essentials of a writer’s craft, presented by a brilliant practitioner of the art Completely revised and rewritten to address the challenges and opportunities of the modern era, this handbook is a short, deceptively simple guide to the craft of writing. 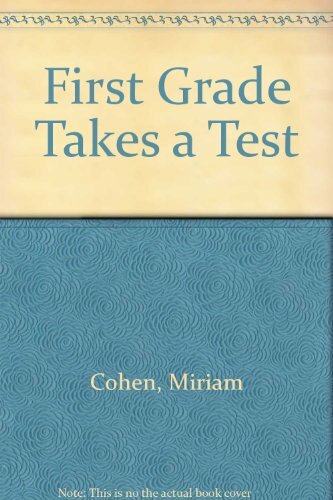 With Miriam Cohen | Reissue edition from Dell Pub Co (December 1, 1985); titled "First Grade Takes a Test"